Radio chatter cackles. A man sits alone at a bus stop. Sitting on his suitcase, hood up and head down, he cuts an intense figure. A car pulls up opposite, another man steps out; dressed in a sharp suit and with an ear-piece attached; he nervously stands watching, whilst listening to the various voices over the radio. “It’s now or never” he declares. This is the first 75 seconds of Defector, a ‘kung fu thriller’ short which was impressively directed by up and coming talent James D Chanter, produced by Josh Grayson and starring Lee McGeough. 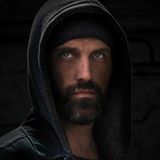 The latter is a professional Fight Choreographer and Classical Kung Fu Martial Artist with over 30 years of martial arts experience and it is he who plays the titular Defector, a mysterious character on the run and fighting for survival. At just under 14 minutes long, this plays out like an integral sequence mid-way through a Hollywood action thriller. After that first 75 seconds, McGeough embarks on a relentless, high-octane journey as he battles masked assailants coming at him from all angles. He’s constantly on the move and the action never lets up until the final second of a finale that features a classic showdown and McGeough’s only line of the film which in itself hints at the story being far from over. This is of course the very plot and very premise of Defector. We do not know his background, or why he is on the run. Is he a good guy or a bad guy? Who are the people after him? It would be fair to assume Chanter and McGeough have plenty of ideas as to who this character is, but as the audience, we do not need to know nor do we have time to think about it, such is the pace and adrenaline of this short. Indeed, it is seriously impressive work from Chanter and McGeough who manage to make us root for the protagonist despite not knowing a thing about him. More than that, though, is the sheer quality of the feature. Given that this was shot locally on a shoe-string budget, this is a highly polished piece of work and it is clear to see the dedication that went into making this a succinct and taut product. Chanter’s work behind the camera is hugely accomplished; whether he zooms in, pans out, frames the scene or allows the camera to absorb the momentum of the action; every shot is purposeful and deliberate and most importantly, necessary. Just as impressive is the editing which pieces every single shot together seamlessly, allowing for the action to really flow at the desired high-tempo, but what stood out more-so was a superb use of background sound as well as a fantastic, accompanying score. The radio chatter plays a significant role throughout the film, constantly rasping in the background to serve almost as a characterisation of the unknown threat. The score itself ranges from a brimming, bubbling buzz that builds the tension, rising to a banging drumbeat which intensifies the drama and then finally an audacious and heavy guitar rock piece that perfectly plays along to the fight scenes. The combination of these factors all contribute to making Defector so wonderfully frenetic and thrilling. McGeough also deserves heaps of praise for his performance and choreography here. Featuring in nearly every single shot, he delivers a brooding intensity combined with a calm demeanour and looks every bit the action hero. He exudes a screen-presence which draws the audience to him and encourages us to champion him. Alongside this persona, his fight scenes are simply terrific as we watch him battle multiple enemies at once in audibly bone-crunching sequences, all the while portraying an eerie confidence of knowing that few are a match for him and with that emphasising the underlying question; who is the Defector? I was enormously impressed with this. For a feature produced on the back of little money, shot in locations around Cheltenham and clearly built on commitment, hard work and dedication, it is simply outstanding. Perhaps the biggest endorsement I can give is that, when watching it, I thought to myself that this would not have looked out of place as a sequence in a Bourne film or something like The Raid.